The Book of Martyrs by John Foxe written in the 16th century has long been the go-to source for studying the lives and martyrdom of the apostles. Whilst other scholars have written individual treatments on the more prominent apostles such as Peter, Paul, John, and James, there is little published information on the other apostles. 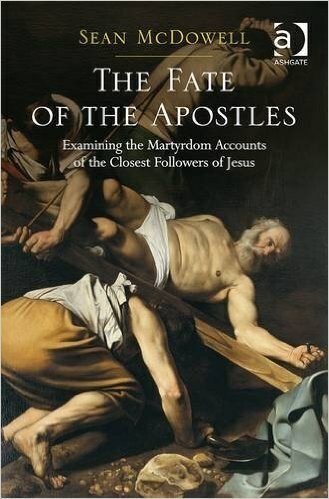 In The Fate of the Apostles, Sean McDowell offers a comprehensive, reasoned, historical analysis of the fate of the twelve disciples of Jesus along with the apostles Paul, and James. McDowell assesses the evidence for each apostle's martyrdom as well as determining its significance to the reliability of their testimony. The question of the fate of the apostles also gets to the heart of the reliability of the kerygma: did the apostles really believe Jesus appeared to them after his death, or did they fabricate the entire story? How reliable are the resurrection accounts? The willingness of the apostles to die for their faith is a popular argument in resurrection studies and McDowell offers insightful scholarly analysis of this argument to break new ground within the spheres of New Testament studies, Church History, and apologetics.